Our Leeds Bathroom Showroom may have the dream bathroom you’ve been looking for. Our Leeds Bathroom & Tile Showroom is located at The Ronson Building, Limewood Approach, Leeds. We display a wide range of quality bathroom products & Tiles at competitive prices. 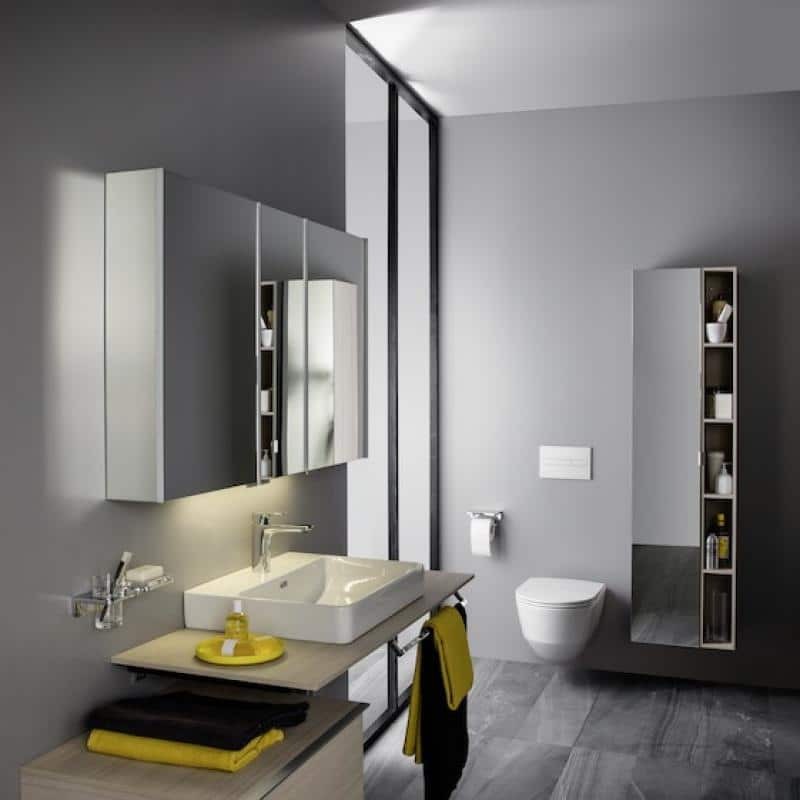 We display a wide range of bathrooms from quality manufacturers such as Laufen, Vado Taps, Hansgrohe, Cleargreen, Burlington, Carron Baths, Zehnder Radiators, Bisque Radiators, Utopia Bathroom Furniture, Villeroy & Boch Tiles & many more. Our ethos of only selling quality bathroom products sets us a part from the competition. Doug Cleghorn uses his vast experience in the bathroom industry to only select products from innovative & quality manufacturers whose ranges are designed by top designers. Our whole existence is to make sure you have a high quality bathroom that will last for years to come. Our extensive product and technical knowledge will help you to select the right products for your bathroom making sure you have a trouble free installation.